Every faith community in the U.S. has similar institutions. Where would the United States be without its Quaker high schools, its Methodist universities, its Lutheran hospitals, its Jewish social service agencies, and its Southern Baptist disaster relief organizations? As Muslims establish themselves in this country, we are building the same network of faith-inspired service-to-all organizations. According to Harvard social scientist Robert Putnam, half of U.S. social capital is religiously driven. Three-quarters of our philanthropy goes to a religiously affiliated group of some type or another, many of which do important work in our civil society. Right now, one out of every five checks “none of the above” on U.S. surveys of religious identity. For those ages 18 to 29, that number is closer to one in four. Further studies by people such as Robert P. Jones at the Public Religion Research Institute show that a sizeable portion of these “nones” believe in God, but very few of them are regular in the pews. They are disconnected from religious communities and, at the end of the day, it is the contributions and civic participation facilitated by religious communities that support all of those faith-based institutions that hold up our civil society. There are interesting attempts by Humanist groups to model congregation-type communities, complete with service projects for the broader society. My friends Greg Epstein and Chris Stedman at the Harvard Humanist Chaplaincy are front and center in this type of positive secular community building. But it’s a long way from a Thanksgiving turkey drive to a hospital. 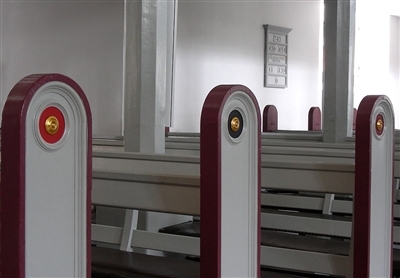 And so the question remains: What will happen to U.S. civil society as the pews empty out? Who will support all those schools, hospitals, and social service agencies? Who will build new ones? When I pose this question to social scientists who study these things, they turn to me and say, “I don’t know.” Honestly, I don’t have a better answer. Courtesy of Sojourners Magazine www.sojo.net. The opinions in this commentary are those of the author and do not necessarily reflect the policy or position of the Florida Conference.